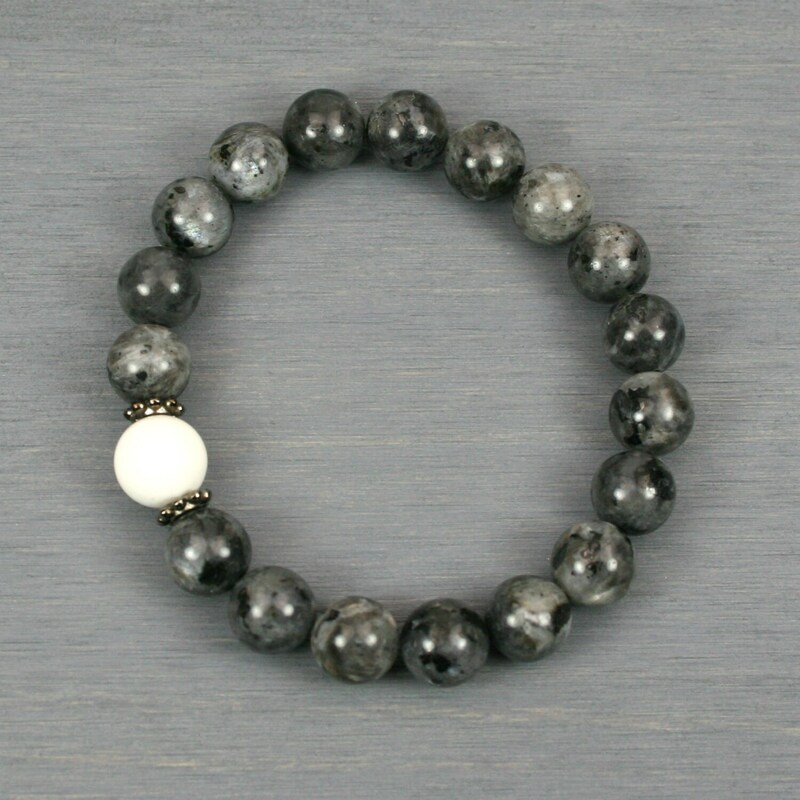 This bracelet is made from 10 mm round blue labradorite beads with a 10 mm round white howlite stone focal bead flanked by blackened metal spacers. 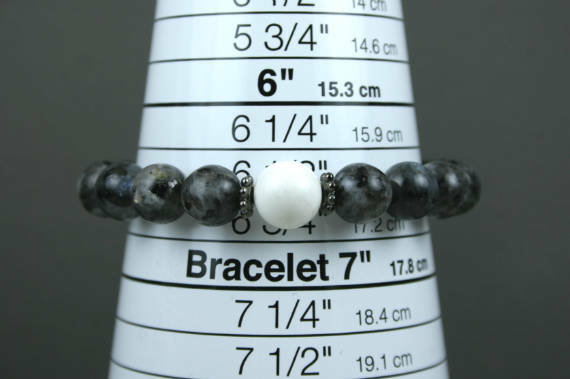 Blue labradorite beads, also known as larvikite, black moonstone, or blue Norwegian moonstone, are made from natural stone with natural variations in color and markings from bead to bead. These are a type of feldspar found in Norway that have a grey to black background with a chatoyant grey-blue flash. 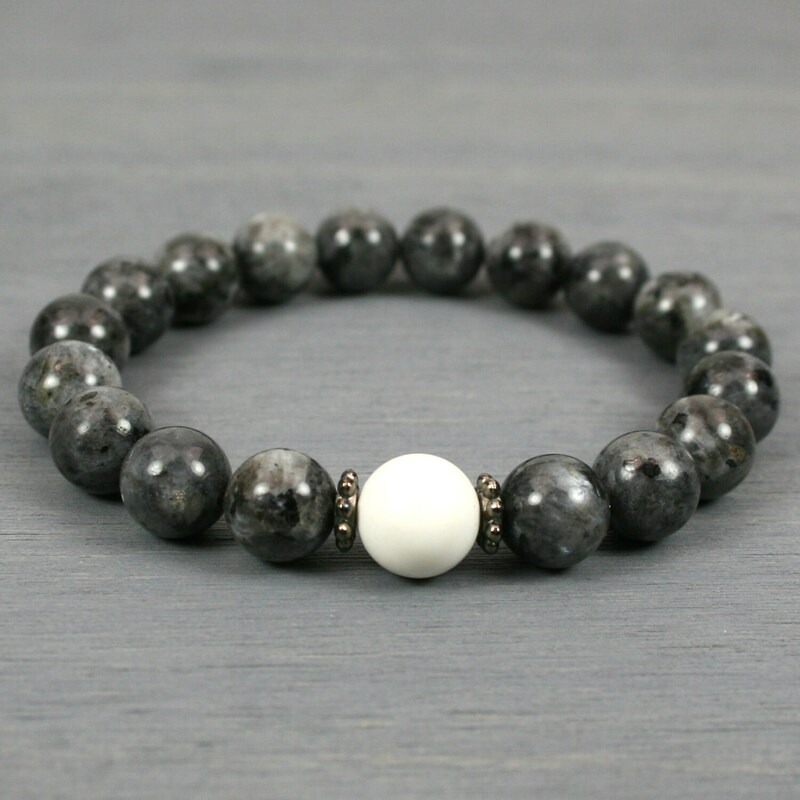 They are known for promoting grounding, helping with repelling negative energy, and facilitating new learning. 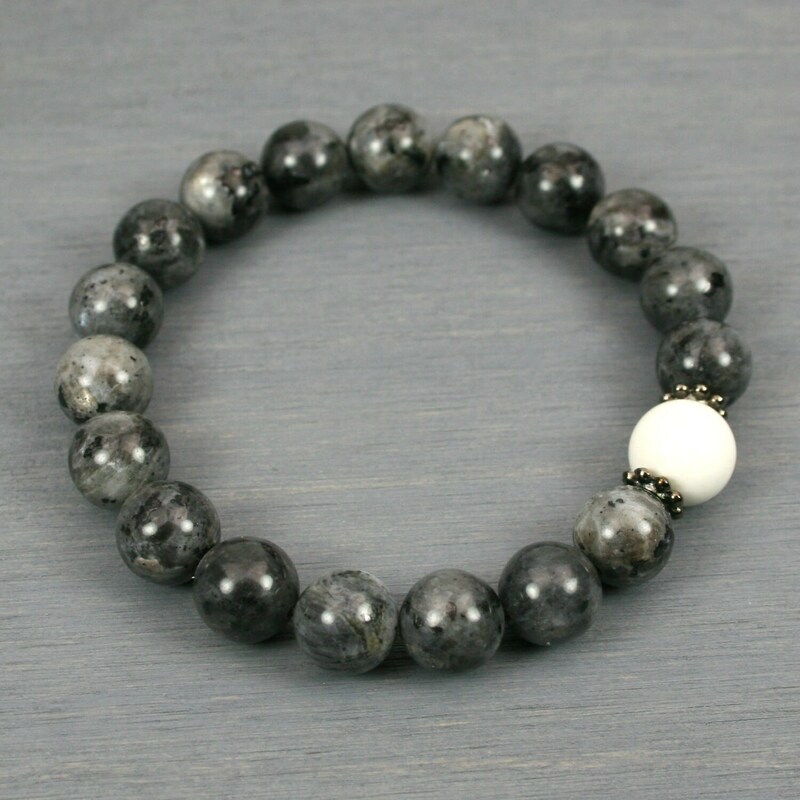 White howlite beads are made from natural stone and therefore contain natural color variations from bead to bead and bracelet to bracelet, but they are generally white will subtle, branch-like patterns brown to dark gray. 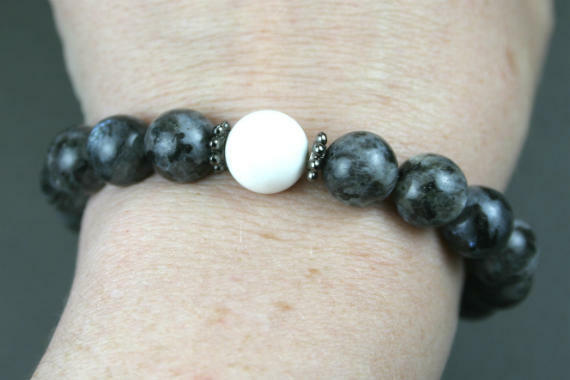 Howlite is known for supporting calming, awareness, and spiritual growth. As shown, it is sized to an inner circumference measurement of about 6.5 inches where it touches the wrist (see image 4). The size can easily be adjusted with the addition or subtraction of beads for no extra charge. If you need a different size, leave a note with the size you desire in the comments area of your order, and I will re-size it for you prior to shipping.